In the recent history of development in India, examples of interconnected success -- in local autonomy, forest rejuvenation and agriculture -- such as this, are rare. For Nagaland, it all started under the stewardship of Achyut Madhav Gokhale. Surekha Sule has it all. In the strife-ridden Nagaland during 80s and 90s, the administrative postings were like punishment. It was a time of extreme tension and administrators in particular faced regular threats from insurgent groups. But one officer stood up with a steely resolve to do something for the rural Nagaland at a time when none dared to venture out in the conflict situation and proved the critiques of civil servants wrong. A M Gokhale. Pic: Surekha Sule. Achyut Madhav Gokhale, Padmashri award winner and former chief secretary of Nagaland made a major difference to the lives of people in about 1000 villages - almost all villages barring some 100 odd villages in the state. On an average, a familys farm income increased five times, securing livelihood for the Naga villagers, as a result of Gokhales Nagaland Empowerment of People through Economic Development (NEPED) project. And for the villagers, Gokhale became next to god. Part of the secret had to do with the use of Alder trees in then much derided Jhum cultivation system of the northeast. Today, Asi Meyase from Khonoma village in Kohima district of Nagaland has 3 acres of land under rain fed terrace cultivation and 3 acres under Jhum cultivation. He grows rice during June-October in his terrace field. Besides, Asi grows potato, garlic, cabbage during February-May in his Jhum plot. And he uses not all of his 3 acres Jhum land but only as much as is ready for cultivation after leaving it fallow for 6-8 years. When Gokhales NEPED project was implemented in 1995, he planted 800-1000 Alder trees in his 3 acres of Jhum land. And Asi beams with pride that with Alders, his Jhum land productivity has increased five times! Alders give nutrients to the soil besides timber when they are cut to the stump level. (See photo). Alder trees harvested in a jhum plot leaving stumps intact. Pic: Surekha Sule. Like Asi, almost all in Khonoma took to planting Alder and 54 other species of trees at their own cost. Because without Alder the Jhum cycle was 12 years and with Alder it reduced to 5 years! This was an immediate driving force as farmers could return to the Jhum plot sooner and yet could get better soil nutrients due to Alder as also timber from chopping Alders above stump level (See photo). The demonstration effect was so powerful and replication of the NEPED model was amazing in all project villages, says Temjen Toy, NEPED team leader and secretary to Nagaland government. While NEPED helped them source the material, they even went to Assam to buy saplings. During Gokhale's tenure at the Ministry of Rural Development (Centre), funds for rural employment were directly transferred to gram panchayats under the then newly launched Jawahar Rojgar Yojana, taking inspiration from Nagaland's Village Development Board experience. Under NEPED Phase I during 1995-2001 with just Rs.12.86 crores funding, 1794 farmers Test Plots were established in 854 villages (out of 1010 project villages) all over Nagaland, covering about 5500 hectares of land and planting over 7 million trees. And today, Alder plantations can be found in almost all Jhum plots, so strong was the motivation among farmers to adopt the tree plantation strategy. 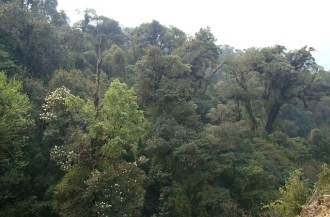 Forest cover in Nagaland showed remarkable increase, courtesy NEPED, according to a 2003 report in The Assam Tribune. The age-old practice of Jhum or shifting cultivation in the north east India had come under severe flak from the Central Government under the influence of some environmentalists who held Jhum practice responsible for the destruction of forest and environmental degradation. Under Jhum cultivation, the village community clears a patch of forest and cultivates crops, abandons this patch and ideally comes back to it after 12 years. This has been the traditional practice of the tribal community to live in harmony with the nature, allowing the natural forest growth for about 12 years while growing food enough for the villagers. Amidst Alder stumps, soil is ploughed for sowing cabbage in Dzuleke. Pic: Surekha Sule. However, with the population growth, the need for more land was met through contracting the Jhum cycle to less than 12 years. The reduction in forest cover was squarely blamed on to the Jhum cultivation and the Central Government came out with the policy to wean away farmers from the practice of Jhum cultivation to settled cultivation. However, many such programmes failed to attract tribal communities and Jhum practice persisted. During early eighties, Gokhale studied this practice and found that in Naga villages, typically like in Khonoma village, farmers grew trees like Alder in the Jhum plot which maintained the ecological balance ensuring green cover as well as food for the village. Gokhale thought that why not replicate this existing model rather than impose an imported one from outside. 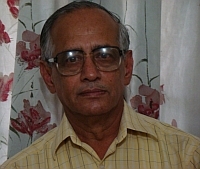 In 1984-85, Gokhale along with colleague R Kevichusa published a book Use of the Alder Trees. Before this, no literature was available on Nagas traditional knowledge about Alder and its benefits in agro-forestry. Kevichusa was Secretary of the Irrigation Department and NEPED's Project Operations Unit team leader since its inception in 1995. He too retired in early 2000. R Kevichusa. Pic: Surekha Sule. Gokhale and Kevichusa tried a lot during mid-eighties to convince the Central Government to support their agro-forestry proposal involving Alder plantation in Jhum plots. However, the currents against Jhum system in New Delhi's Ministry of Environment and Forests (MoEF) were too strong. In fact, Gokhale and Kevichusa were asked to state in the opening sentence of their proposal that the Jhum system should stop! And this was exactly contrary to Gokhale-Kevichusas conviction about Jhum as a traditional practice of cultivation which could not just be abandoned. Gokhale strengthened Nagas traditional village autonomy through establishment of Village Development Board (VDBs) which received untied grants directly from the Central Government for village developmental activities. In 1987, Gokhale went to Delhi on deputation to the Central Government as joint secretary, Union Ministry of Rural Development (MoRD) where he was instrumental in drawing a lot from his pet VDB design that had strengthened Naga village autonomy. During his tenure at MoRD, funds for rural employment were directly transferred to Gram Panchayats under newly launched Jawahar Rojgar Yojana taking inspiration from VDB experience. Even the Constitutional amendment to Panchayati Raj was based on VDB design, according to Gokhale and Kevichusa. Recognising his contribution to success of VDBs in Nagaland and its role in the work of Jawahar Rojgar Yojana, Achyut Madhav Gokhale was conferred with Indias prestigious award Padmashri in 1990  very rarely given to the civil servants. By then, Gokhale had admirers in Delhi too which included Dr Manmohan Singh and Dr Manishankar Iyer who had visited Nagaland and seen VDBs attain the objective of village autonomy. But in the Union Ministry of Agriculture (MoA) and MoEF, there was opposition to Gokhales idea of agro-forestry in Jhum system. 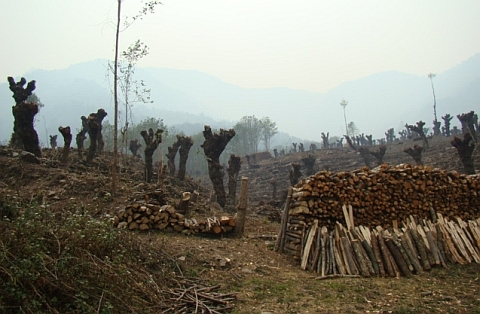 Coming back to Nagaland in 1992, both Gokhale and Kevichusa once again pursued this idea with active encouragement of the then Nagaland Chief Minister S C Jamir (currently Governor of Maharashtra) and submitted a paper to the UNDP with renewed conviction that Alder plantation can go a long way in helping Jhum system. Villagers in Dzuleke are simple and hard working. Pic: Surekha Sule. UNDP routes proposals through MoA and MoEF where obviously, there were no takers. It was Gokhales meeting in 1993 with Dr Manmohan Singh, then the Union Finance Minister that yielded a suggestion to approach Canadian International Development Agency (CIDA). The project NEPED was finally approved in June 1994. And till then no external funding was allowed in Nagaland. 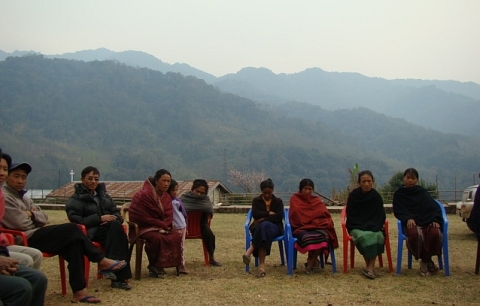 NEPED stood for Nagaland Environment Protection and Economic Development through Peoples Action during Phase I. However the abbreviation NEPED was expanded as Nagaland Empowerment of People through Economic Development from Phase II onwards as the thrust area shifted from environment protection to empowerment of people. Gokhale attributes all his success to his friendship with Naga people and support of the then Nagaland Chief Minister S C Jamir. His constant interaction at the grass root level right from the beginning of his tenure in 1974 especially during formation of VDBs in all villages in Nagaland paid rich dividend and by 1994, he already had many trusted people  village elders and people as well as comrades among government service who would stand up and support in his venture of NEPED. During the Presidents rule in 1992 in Nagaland, the unrest had peaked and administration could not function. But Gokhale used this sort of lull period at the office to pick and choose some committed government officials and hold discussions on current situation and developmental issues too. Hence by the time NEPED project was sanctioned in June 1994, Gokhale and Kevichusa already had a dedicated team ready to get going on the plan. The plan was simple. In all villages, select two demonstration plots of three hectares each  one in upper reaches and one at lower level. Plant Alders as additional crop and with NEPEDs support, allow the local traditional wisdom to manage these Jhum plots. Besides, the organisational structure of NEPED was unique. It was in a project mode and run by a team called Project Operations Unit (POU) which included only the best officials selected on deputation from various Nagaland government departments. The POU team leader is also a Secretary to the Nagaland Government. While team members draw salaries from their respective departments, their facilities and incentives come from NEPED funds. Thus, there is no interference from departments and no bureaucratic hurdles. Gokhale ensured that the NEPED teams motivation level remained high all the time. After a crop harvest, the jhum plot is abondoned and dense greenery comes up. Pic: Surekha Sule. CIDA supported the second five-year NEPED Phase II (during 2001-5) which focussed on building capacity in VCs the VDBs for local interventions, instead of merely using them as entry points into local communities. Thus, VCs and VDBs were actual POU managers and implementers. With Rs.12.85 crores funding, 104 villages were selected for giving revolving fund out of which 25 per cent were earmarked for women SHGs. The loans between Rs.5000-20000 were given based on farmers requirement for farming and non-farming livelihood related activities. Taking off from there, NEPED Phase III is flexible and is not alone focusing on plantation or micro-credit only but a whole gamut of developmental activities. "NEPED cannot always depend on Canadian grant and hence it is being taken off the project mode and has been registered as autonomous institution under Societies Act", notes Temjen Toy. NEPED's Steering Committee is headed by the Chief Secretary of Nagaland with pioneers Gokhale and Kevichusa as members besides various government officials and past POU team leaders. NEPED III has also entered partnerships with Sir Dorabji Tata Trust (SDTT) and Salim Ali Foundation for a biodiversity project, and other such partnerships. Surekha Sule is a development journalist and researcher.